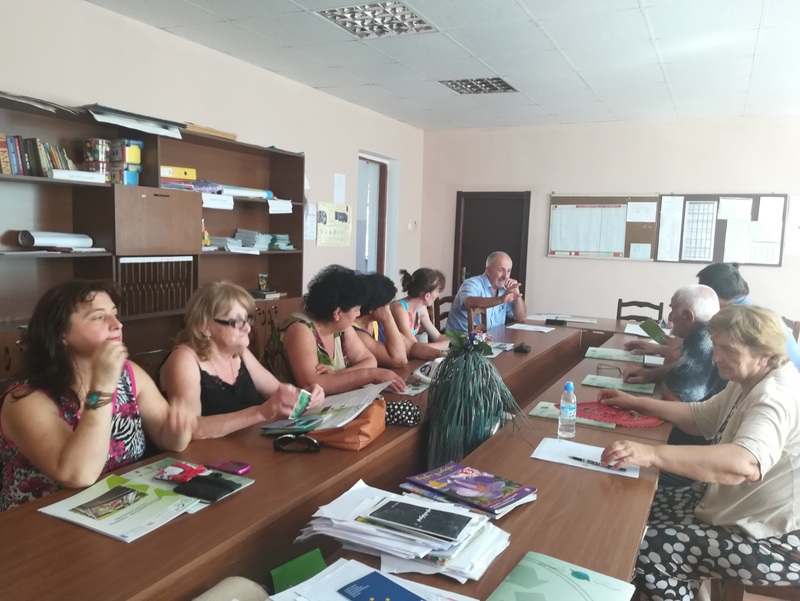 On August 21, the Greens Movement of Georgia / Friends of the Earth Georgia initiated a meeting on waste management issues in village Vartsikhe, Baghdati Municipality, within the framework of the project "Clean Up Georgia Phase III". The meeting was organized by local coordinator of the Greens Movement and its purpose was to provide local population with information on planned activities of the project "Clean Up Georgia Phase III",as well as problems related to waste management in Georgia, obligations of municipalities and world experience in the field of waste management.Participants also received information on progress of implementation of the project “Clean Up Georgia ”(phase III) and Contest "Clean Region" announced within its framework. On August 19, within the framework of the project “ Clean Up Georgia “ (phase III) a community meeting was held in village Tskaltubo, organized by Tskaltubo regional coordinator of the Greens Movement of Georgia / Friends of the Earth – Georgia. 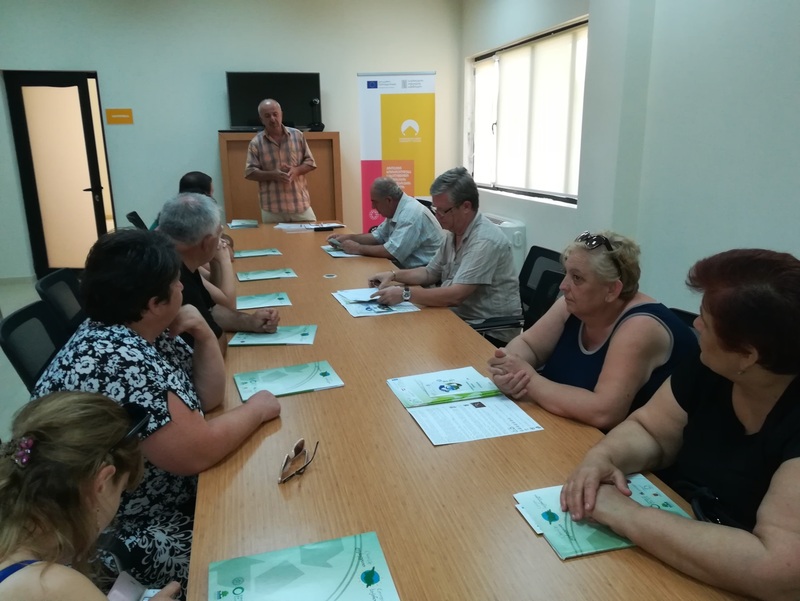 The purpose of the meeting was to provide the audience with information on planned activities within the project, which include the settlement of waste-related problems in the regions and rural areas and promotion of awareness-raising campaigns among the local population. 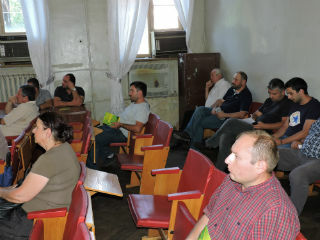 On August 17, within the framework of the project “ Clean Up Georgia “ (phase III) community meeting was held in village Gumbara, organized by Tskaltubo regional coordinator of the Greens Movement of Georgia / Friends of the Earth – Georgia on waste management problems existing in the municipality. At the meeting local coordinator provided information to presented audience on problems related to waste management in Georgia, obligations of municipalities and world experience in the field of waste management. On August 17, within the framework of the project “ Clean Up Georgia “ (phase III) a community meeting was held in village Ianeti, organized by Samtredia regional coordinator of the Greens Movement of Georgia / Friends of the Earth – Georgia. The purpose of the meeting was to provide the audience with information on planned activities within the project, which includes the settlement of waste-related problems in the regions and rural areas and promotion of awareness-raising campaigns among the local population. On August 15 , within the framework of the project “ Clean Up Georgia “ (phase III) community meeting was held on waste management issues in village Didi Jikhaishi , organized by Samtredia regional coordinator of the Greens Movement of Georgia / Friends of the Earth – Georgia. NGO Ecological Awareness and Waste Management (EAWM) conducted an awareness raising meeting in the Municipality of Lagodekhi, Kakheti region on August 4, 2017 in the framework of ‘Clean Up Georgia – Phase III” Project. 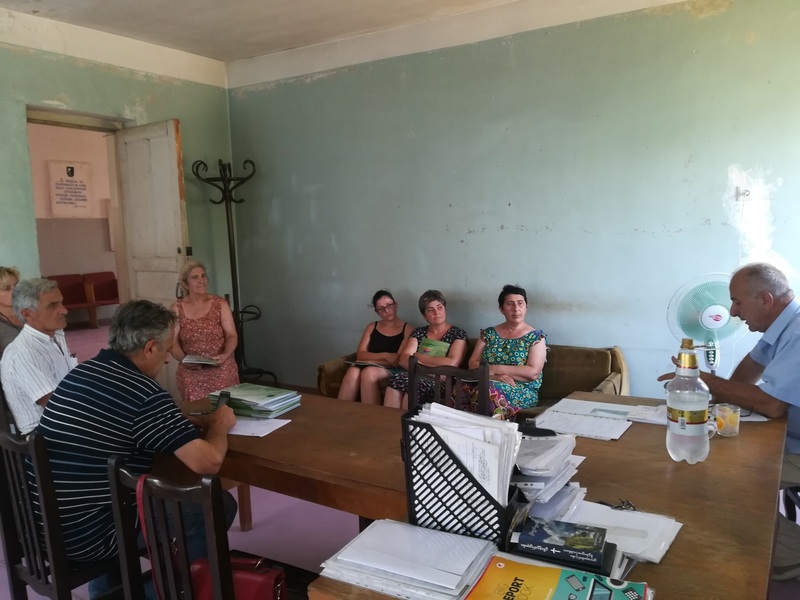 The aim of the meeting was to inform Lagodekhi Municipality on the hazardous waste (in particular, chlorine/chemicals) on the territory of Georgia and its negative impact on human health and the environment. 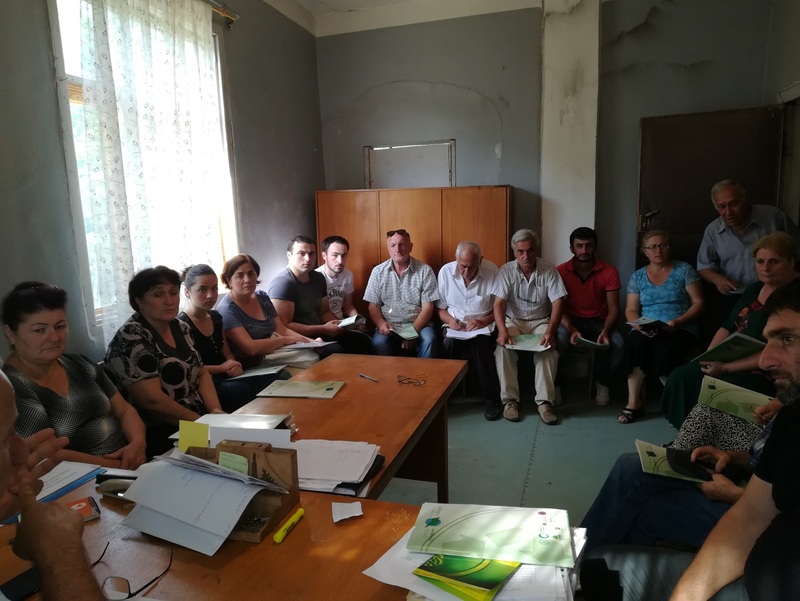 NGO Ecological Awareness and Waste Management (EAWM) conducted an awareness raising meeting in the Municipality of Sagarejo, in Kakheti region on August 1, 2017 in the framework of ‘Clean Up Georgia – Phase III” Project. 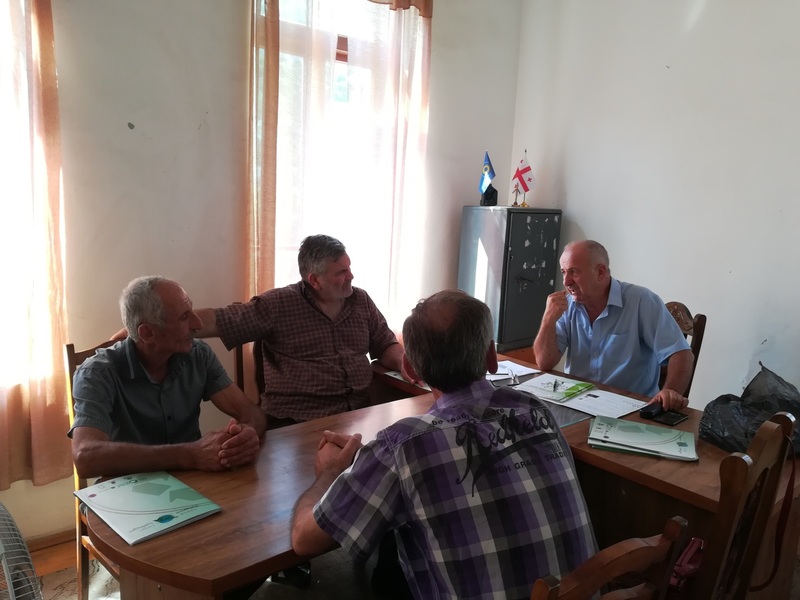 The aim of the meeting was to inform Sagarejo Municipality on the hazardous waste (in particular, chlorine/chemicals) on the territory of Georgia and its negative impact on human health and the environment. 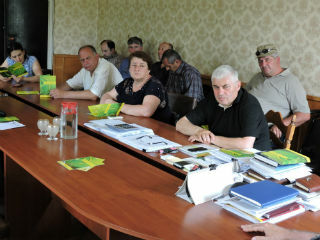 NGO Ecological Awareness and Waste Management (EAWM) continues awareness raising meetings in the regions of Georgia. 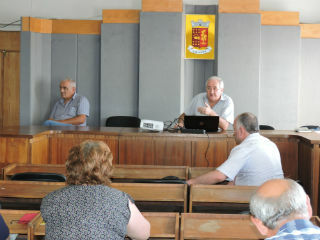 On June 28, 2017 a meeting was held in Ambrolauri in the framework of the ‘Clean Up Georgia – Phase III” Project. The aim of the meeting was to inform the Municipality on the hazardous waste, in particular, chlorine/chemicals, on the territory of Georgia and its negative impact on human health and the environment. 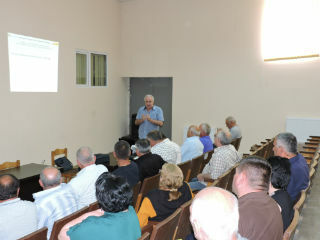 NGO Ecological Awareness and Waste Management (EAWM) continues awareness raising meetings in Shida Kartli region. On June 19, 2017 a meeting was held in Kareli in the framework of the ‘Clean Up Georgia – Phase III” Project. The aim of the meeting was to inform the Municipality on the hazardous waste, in particular, chlorine/chemicals, on the territory of Georgia and its negative impact on human health and the environment. On June 14, 2017, EAWM conducted a training of chemistry laboratory staff and relevant students entitled “Registration, Safe Handling, Warehousing, Laboratory Usage, Utilization and Transportation of Chemical Substances and Waste in Educational Establishments" in Borjomi. The training was held the framework of the “Clean Up Georgia – Phase III” Project. On June 16 another clean up action was carried out in Bolnisi municipality within the framework of the "Clean Up Georgia "campaign. The event was organized by the local coordinator of the Greens Movement of Georgia / Friends of the Earth Georgia. Within the scope of the action the central districts of the villages Nakhiduri and Mukhrani were cleaned up. The representatives of Gamgeoba and local population took part in the event together with the organizers. Around 3 hectares of land was cleaned up and approximately 8 m3 of waste was collected. Around 30 volunteers took part in this event. On June 5, World Environment Day in Borjomi was marked by clean up action, organized by the local coordinator of the Greens Movement of Georgia/Friends of the Earth Georgia. Within the scope of the action the territory around the central hospital, about 0.5 ha area has been cleaned up . Around 10 bags of waste was collected, up to 30 volunteers took part in the event. On June 6, World Environment Day in Dmanisi was marked by clean up action, organized by the local coordinator of the Greens Movement of Georgia/Friends of the Earth Georgia. During the action was cleaned up the territory from village Didi Dmanisi to Dmanisi Municipality. Around 5 ha area has been cleaned up and 4m3 of waste was collected. Around 80 people took part in the action. On June 5, World Environment Day in Zestafoni was marked by clean up action, organized by the local coordinator of the Greens Movement of Georgia/Friends of the Earth Georgia. The pupils and teachers of local public schools took part in the action together with the organizers. During the event 5 public schools surrounding areas were cleaned up with participation of 500 pupils. Around 2 ha area was cleaned up and 5 m3 waste was collected. On June 5, World Environment Day in Terjola was marked by clean up action, organized by the local coordinator of the Greens Movement of Georgia/Friends of the Earth Georgia. Within the scope of the action the entrance of the Church of Village Gogni, about 2 ha area has been cleaned up, as well as several villages centers, totaling 100 hectares. About 700 local people, including public school pupils participated in the action and have collected 50 m3 of waste .